For those that need the ultimate in concealability, while enhancing their protection from bullets, the C2 is the only solution. 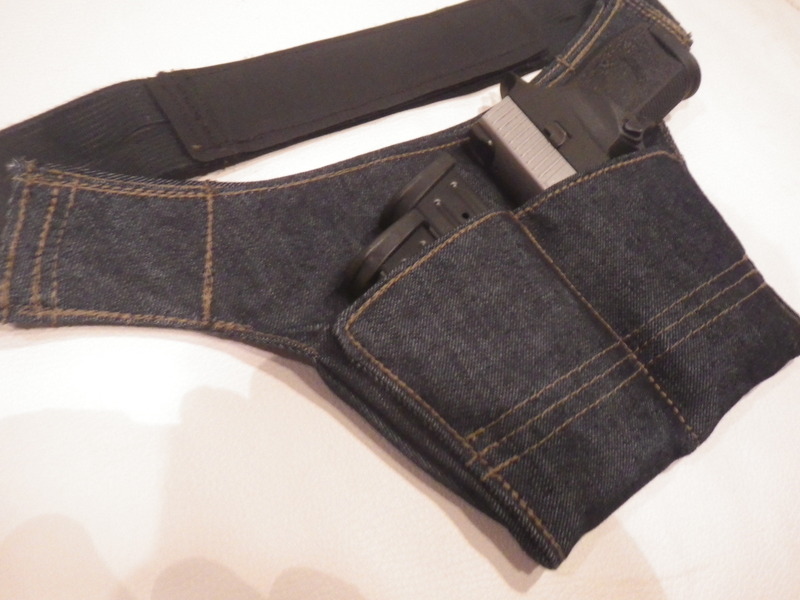 Starting with a foundation of FR Denim gives this holster a comfortable, breathable, and durable backbone. From there, things get even more innovative. Pelvic concealment is widely regarded as the most covert form of carry, but many have concerns about carrying a weapon in this region of the body. 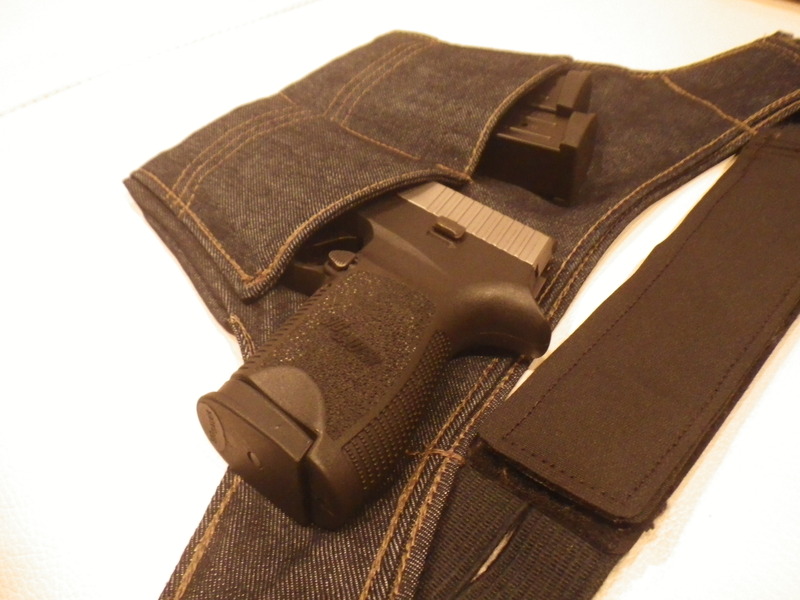 In yet another first, the D-Rmor Gear C2 incorporates several layers of integral woven aramid in the lower half of the holster, completely encapsulating the muzzle and all but eliminating the danger of an inadvertent discharge. As an additional optional feature (and making the C2 truly unlike anything else), the C2 will also accept a custom-designed soft armor panel (equivalent to Level 2A) in a compartment behind the weapon. Adding negligible weight and bulk, this panel increases peace of mind by providing protection to a very vulnerable area of the body. End user has the choice of woven aramid or advanced hybrid wovenate materials. In order to keep the holster as thin and light as possible, an optional removable moisture barrier pad is available for end-users that want to prevent sweat from affecting susceptible weapons. The armor panels come standard with breathable, moisture barrier cover fabric shell. As a final touch, the updated V2.1 C2 comes standard with an ultra-thin, ultra-light, ultra-durable suspension system incorporating the cutting edge Trelleborg AB HANK material, extending the usable life of the holster and ensuring that it remains snug and secure at all times. The C2 is designed to accommodate current compact handguns (G19, Sig P-320 Compact, S&W M&P Compact, etc.) is fully ambidextrous, and will accept one or two magazines in the off-side pouch (or two weapons, if the wearer is so inclined). If you have a concern that your weapon will not fit, or would like to discuss a custom size, please contact me. 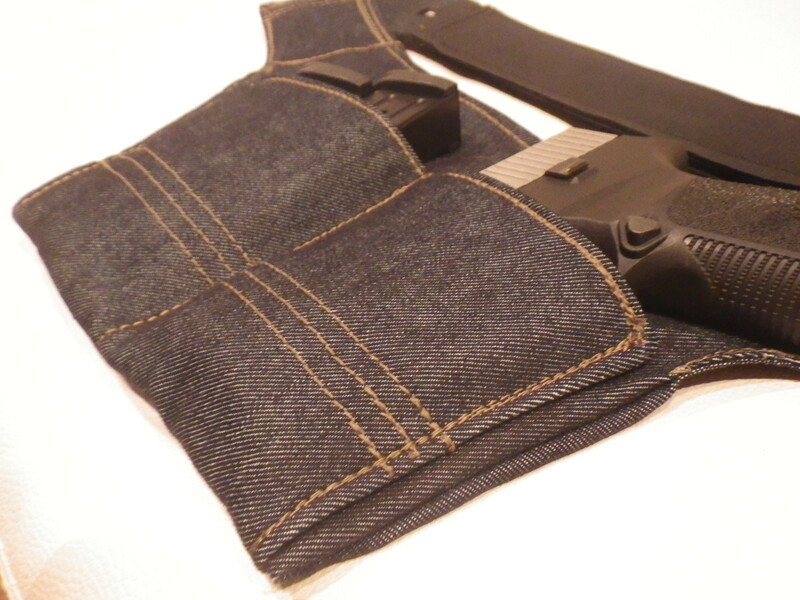 The C2 is fully Berry Amendment compliant, proudly made by hand in the USA. The C2 is guaranteed for 3 years against defects in workmanship, and will be replaced or repaired at my discretion. For woven Aramid armor package with ripstop nylon outer shell, price is $109. Please email to place an order, custom lead time is 22 days from placing order as of 2-6-2019. When ordering, please specify your waist size, as this is customized to you during construction. Copyright 2014-2019 D-Rmor Gear. All trademarks, copyrights, and other intellectual property rights and material contained on this website are exclusively owned and controlled by the Members; no material may be used or redistributed without express written consent. All rights expressly and explicitly reserved.